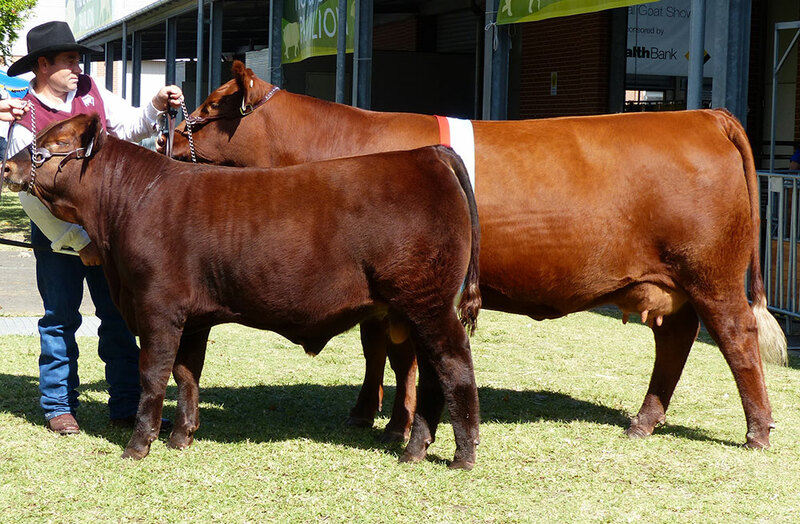 2008 Supreme Champion Beef Female of Brisbane Royal Show and Supreme Red Angus Exhibit at Sydney Royal Easter Show. 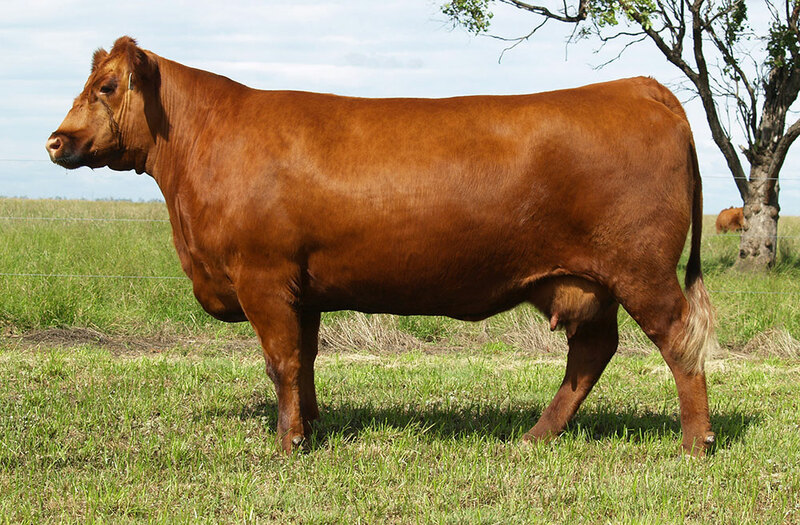 Founder of the Arabella cow family, this daughter of Bella R512 was a standout female with a perfect udder and temperament. A daughter, Arabella F11, was a member of the Hordern Trophy winning pair at the 2013 Sydney Royal Easter Show. 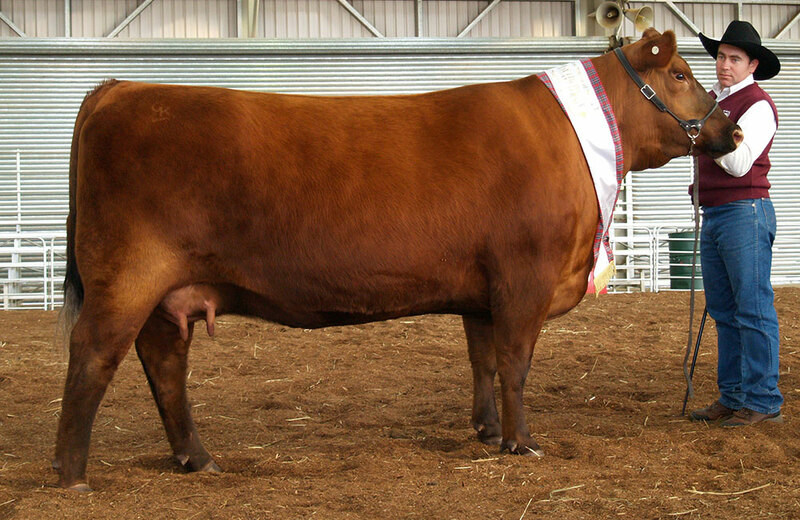 Grand Champion Red Angus Female of the 2010 Sydney and Brisbane Royal Shows. A daughter, Ruby F4, was Grand Champion Red Angus Female and member of the Champion of Champions Supreme Beef Pair at the 2012 Brisbane Royal Show. 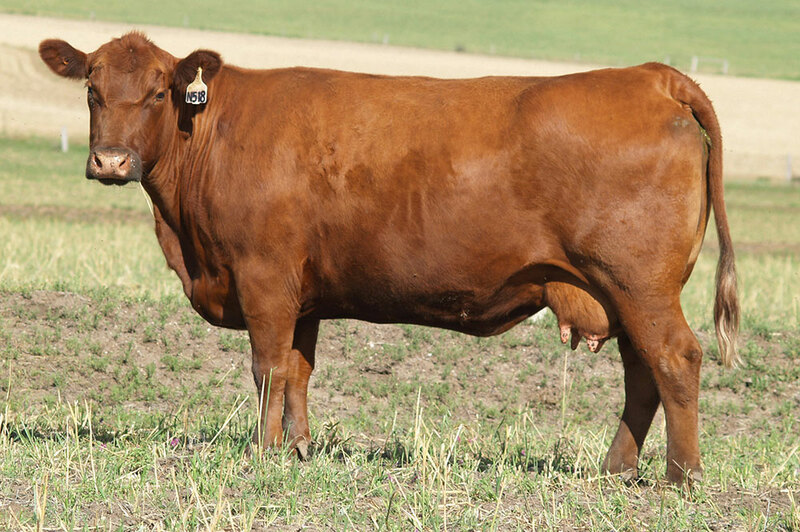 C25’s dam traces back to the Panhandle Ruby cow family, from the Panhandle program in Nebraska. Ruba was purchased outright in October 2006 out of the Jackson Cattle Co. Dispersal in Saskatchewan, Canada. Ruba’s progeny display loads of capacity and softness. We have retained daughters by Thump, Mulberry and Sequoia 202 in the herd. A daughter topped the Pride & Passion II Sale in October 2012, selling for $13,000. 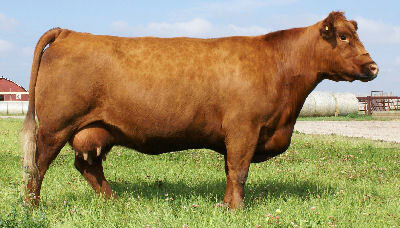 Runner-up Supreme Interbreed Female at Beef 2006 and daughter of GK donor dam, Kansas Red Lady X V116. The Foxy Lady and Lady X cow families originated from the purchase of two maternal sisters (V116 & U104) at the Kansas Red Angus Dispersal Sale. 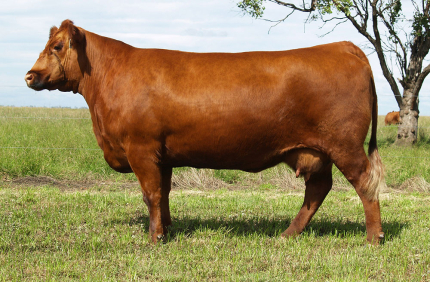 They traced back to the famous Nuage Goldmine heifer, who was an absolute standout in her time. Lady X V116 is still with us and producing well at 13 years of age. 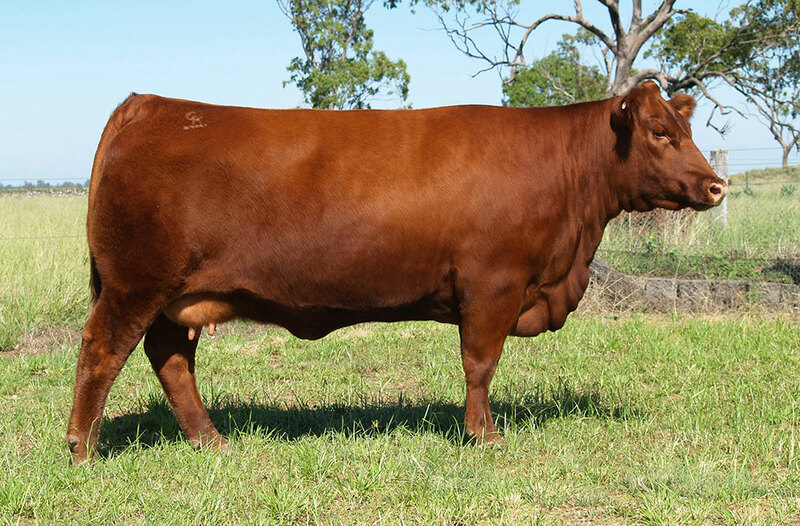 X3 was named Supreme Beef Female and Supreme Red Angus Exhibit at the 2007 Sydney Royal Easter Show. 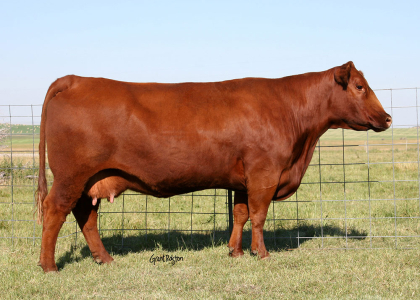 She still holds the Red Angus National Sale record for top priced female at $16,000. 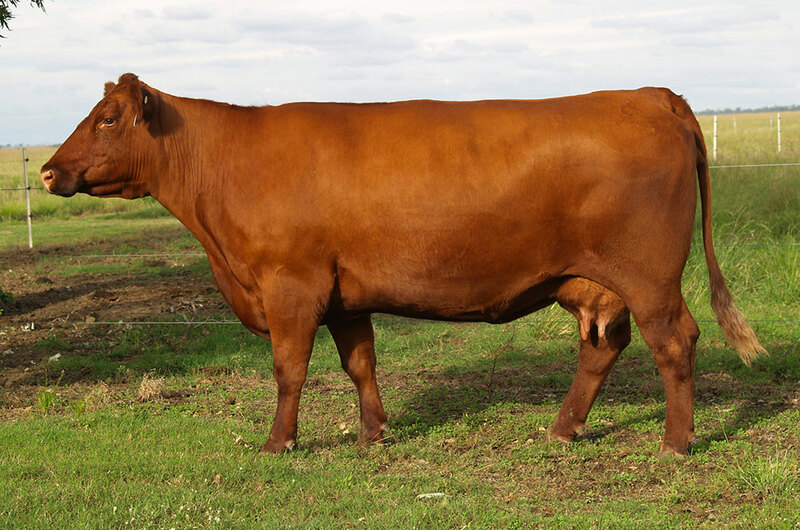 The GK Dina cow family originated from the purchase of the Dina R514 cow at the Princess Park Dispersal Sale. Later the Canadian donor Red SSS Dina 715X was added to our program. Both trace back to the amazing old Red Blue Spruce Dina cow. 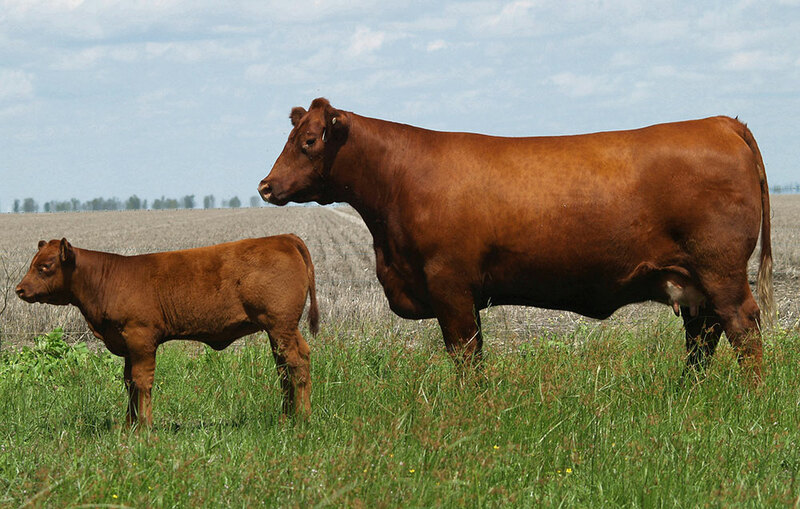 The Whisper cow family originated from the purchase of two cows that trace back to the Canadian Donor Red BRA Whisper 104Y. Whisper N518 and her calf at foot were purchased from Amaroo Park when Winn dispersed her herd, and Whisper S545 was purchased from the IBR Opportunity Sale. Dam of AI Sire Red DMM Brylor Thump 2T and three embryo calves that we have in Canada sired by Red Fine Line Mulberry 26P and Badlands Net Worth 23U. One of the best Angus cows in the world, half share purchased by Brylor Ranch from DMM for $50,000. A super deep ribbed Thump daughter with a picture perfect udder. Supreme Red Angus Exhibit at the 2013 Sydney Royal Easter Show and a member of the Hordern Trophy winning Supreme Beef Pair at the same show. Bella was the very first Red Angus female we ever purchased in 1999. We lost Bella just prior to her turning 18, but she has left us with some fantastic daughters to continue her legacy including B30, G42 and G44. R512 is the dam of Royal Show Interbreed Champions Federer and Arabella, and the 2012 National Champion and top priced female, GK 213 Ellabella E26. Maple D11 is a high capacity, super easy doing daughter of worldwide legend Red Fine Line Mulberry. 2011 Sydney Royal Show Senior and Grand Champion Red Angus Female. 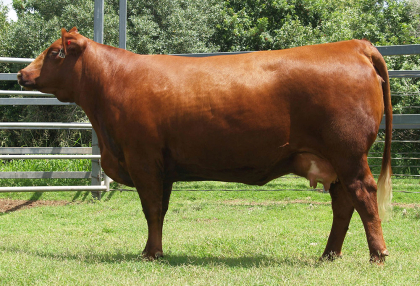 Reserve Senior Champion Red Angus Female at the 2012 Sydney Royal Easter Show. 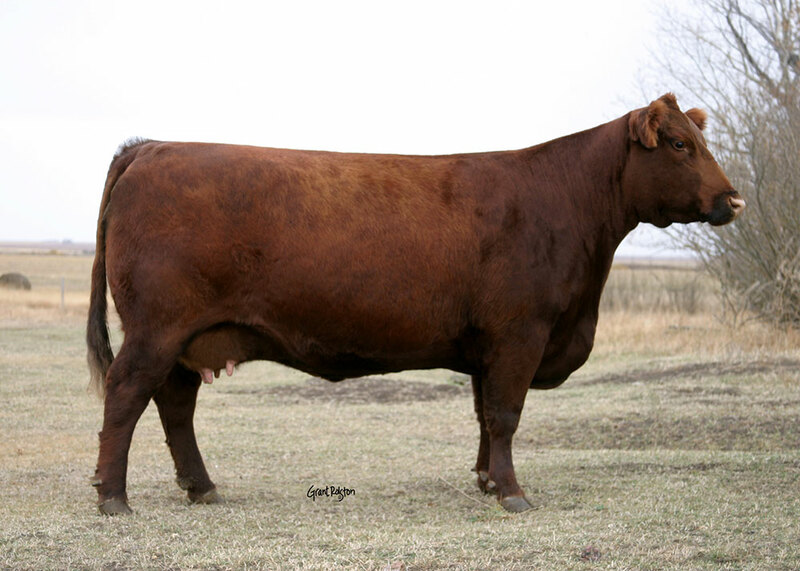 This massive topped, tank of a cow is a full sister to the $18,000 Red Angus National Sale record holder, GK Red Absolute Power A7 (GK A07). 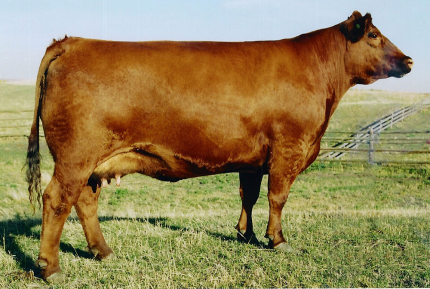 The Velvet cow family originated from Canadian embryos out of Red Cumnock Bery 966Y. One of these resulting calves, GK Red Velvet V4 (GK V04), turned out to be the first female we registered with the GK prefix. A share in Ms Dividend 815J was purchased out of the famed Canadian Red Roundup Sale. 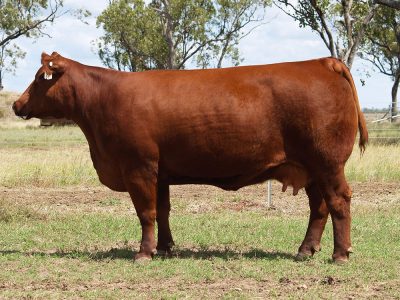 815J is the dam of the 2012 Sydney Royal Easter Show Supreme Red Angus Exhibit, GK Big Easy 26 E28. We have retained an MAF son (GK G13) by Pasquale, as a walking sire in the GK herd. A magnificent big, long sided female who we have flushed several times for Australia with excellent results. Lassie is the dam of GK Red Eli Stone 29 E7 who sold to Jillangolo Red Angus for $10,000 and went on to win Interbreed Champion at the Adelaide Royal Show in 2011.